We have been on quite a journey through the world of elevators in this blog. We have explored elevator history, news, entertainment and technological developments. But one important aspect of these efficient and ingenious machines that we have not yet covered is how elevators actually work. Today, in celebration of 150 fascinating blog entries, we will take a look at the two main types of elevators (hydraulic elevators and roped elevators) and the mechanics that allow them to operate smoothly and consistently. 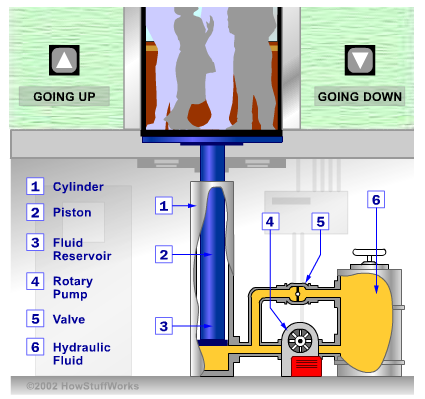 This article, featured on www.howstuffworks.com, provides a clear and complete description of basic elevator mechanics. The informative animations can help you really grasp the forces at work in these vertical transport systems. As a bonus, here is an article describing how escalators work. Expand your minds and stay tuned for another 150 blogs!